This year saw more nominations than ever, from Belgium to Brazil, recognizing the depth and breadth of excellence in regenerative medicine. This year's Award for Cultivating Excellence has been awarded to BellaSeno GmbH (Leipzig, Germany). They impressed the public with their “innovation, creativity, professionalism and investment in young professionals”, according to one voter. BellaSeno is a preclinical stage medical device company developing innovative porous bioresorbable breast implants. The company was founded in 2015by a team of biomedical engineers and plastic surgeons from India, Australia and Germany, and is based in the BioCity incubator, Leipzig, Germany. The company has received substantial financial support from the Saxony Development Bank (SAB) and the European Fund for Regional Development. Their nominator cited their belief that "in order for Additive Manufacturing (sic) to reach its true potential in the field of medicine, training of young engineers and biologists is of paramount importance…[and] the students are awarded authorship in all publications and patents that directly result from their work at BellaSeno" as some of the reasons for the nomination. BellaSeno GmbH won the public vote after five finalists were shortlisted by an expert judging panel; the other finalists included the StaalLab (Leiden University Medical Center, the Netherlands), the Biotechnology Unit, University of Suffolk (UK), Roger Barker’s lab (University of Cambridge, UK) and the Yin Laboratory, MDI Biological Laboratory (ME, USA). This second year of the Award saw almost 50 labs around the world nominate themselves, or be nominated; an increase in 16% on 2017. This year also saw the introduction of a public vote, with almost 1000 votes cast for the five finalists. Find out more about the nominees in an interactive infographic here. The Award for Cultivating Excellence was established in 2017 in the belief that that the most valuable players in regenerative medicine aren't always those seen in the news. As well as ground-breaking research and award-winning facilities, RegMedNet wanted to recognize achievement in other areas, such as career development and scientific outreach. To highlight the achievements of BellaSeno GmbH, they will be the subject of a one month-long special feature on RegMedNet, featuring interviews with lab members and selected published research. They will also receive one year-long subscription to a Future Science Group title of their choice, and 50% off open access fees for up to five articles published in Regenerative Medicine. Applications for next year’s award will open in spring 2019. 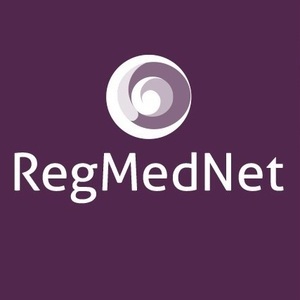 Sign up to RegMedNet today so you don’t miss this important date.